Collect input from a diverse public. Use public input to shape the project. 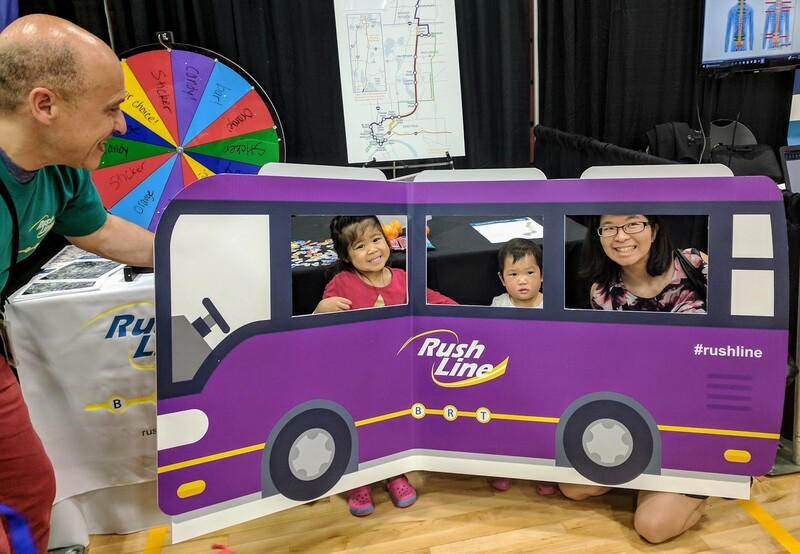 The Rush Line BRT Project team is participating in a wide variety of events throughout the environmental analysis phase to achieve these three goals. These include walk-and-engage efforts, presentations to stakeholders and community groups, pop-up meetings, community events and open houses. In addition to these events, there is a Community Advisory Committee consisting of local residents and business owners. Locating station platforms to best serve transit users and the surrounding neighborhood. Maintaining cultural, historic and natural resources within the project area. How communities along the route will benefit from this investment. How BRT will operate alongside people walking, rolling, biking and driving. What kind of development and pedestrian, bicycle and transit connections are desired at and near stations. View the Communication and Public Engagement Plan for the Rush Line BRT Project (PDF). Read a summary of Rush Line public engagement between March and September 2018 (PDF).